Jordyn Eisenpress is an associate in the Advertising, Marketing & Public Relations Group. Prior to joining Frankfurt Kurnit, Ms. Eisenpress served as a summer associate with the firm where she focused on both advertising and litigation matters. Ms. Eisenpress has experience working on all sides of disputes before the National Advertising Division (NAD). She has worked on behalf of challengers, advertisers, and the NAD itself, in both competitive advertising disputes and public monitoring cases. During law school, Ms. Eisenpress spent time with the NAD reviewing claim substantiation, analyzing consumer perception evidence, and drafting opinions. Her experience also includes the representation of clients pro bono in copyright disputes and mediation. Upon her graduation from Columbia Law School, Ms. Eisenpress was awarded the Carroll G. Harper prize for outstanding achievements in intellectual property law. 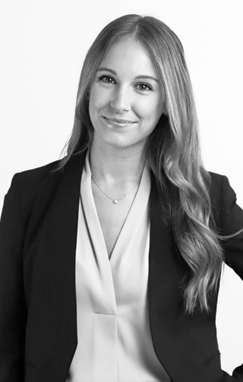 Prior to pursuing a legal career, Ms. Eisenpress worked in the public relations industry, where she focused on digital and social media strategy. Ms. Eisenpress is a member of the American Intellectual Property Law Association. She is admitted to practice in New York.